Animal Bioscience Building is open from 7:00 am to 8:00 pm. The computer lab has computers for students to use to complete course materials and assignments. The lab is open for general use from 8:00 am to 5:00 pm. If you have any questions or suggestions regarding the computer technology of the lab, please contact Kyle Madsen in the Information Technology Center at 994-7767 or kmadsen@montana.edu. The Department’s library and plant study room is located in 236 Animal Bioscience Building. The room is open from 7:00 am to 8:00 pm. Our virtual library has links to scientific journals, extension websites, popular press, and other sources of information. 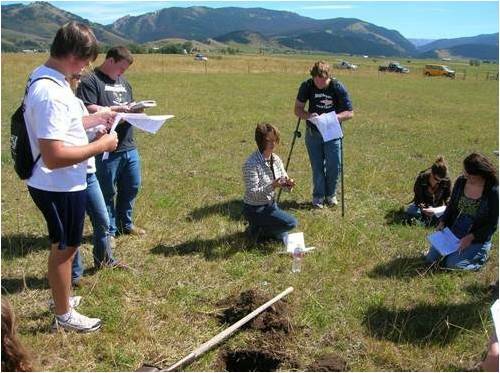 Julie Hager (325 Animal Bioscience, 994-7953, jhager@montana.edu) maintains a list of jobs and internships for part–time, full–time, temporary (seasonal jobs for summer employment), as well as permanent employment, and internships. Please contact Tracy Ross at 406-994-3788 or tracy.ross@montana.edu with any questions.